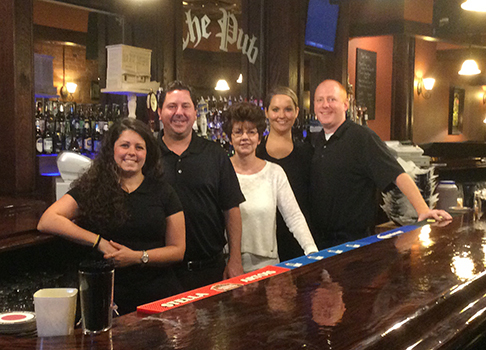 The Pub offers a multitude of favorites such as Beef on Wick, homemade soups, pastas, and pizza. Daily specials are also offered, an ever changing variety displayed on blackboards behind the bar. The bar also features delicious sandwiches, fresh salads, and pub burgers that make for a great accompaniment to a cold brew. “We have an updated tap system,” Sam says with a smile. “And any kind of liquor or spirits they would like.” With a full bar, bottled and draft beers, no one leaves with a dry palette. The Pub is located at 209 North Main Street in Jamestown, NY. They are open Monday through Thursday from 11:30 a.m. to 12:00 a.m., and Friday and Saturday from 11:30 a.m. to 2 a.m. For more information, visit their website at thepubjamestown.com or give them a call at 716-488-6036. Whether stopping in for a drink, a meal, or to see the new decor, you won’t be disappointed. The Jamestown Gazette is proud to recognize our dealers, outstanding corporate citizens of our county. This week, the Gazette especially thanks The Pub for faithfully carrying The Jamestown Gazette, The People’s Paper, for the benefit and enjoyment of their customers, our readers.